September | 2012 | What Can I Say ? 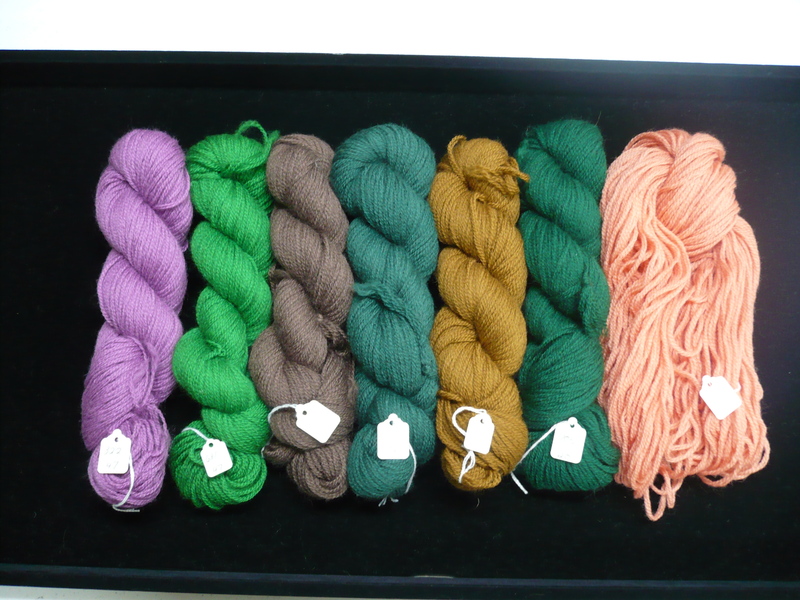 COOL FIBER ARTS SHOW at ROLLINS’ CORNELL STARTS SATURDAY! 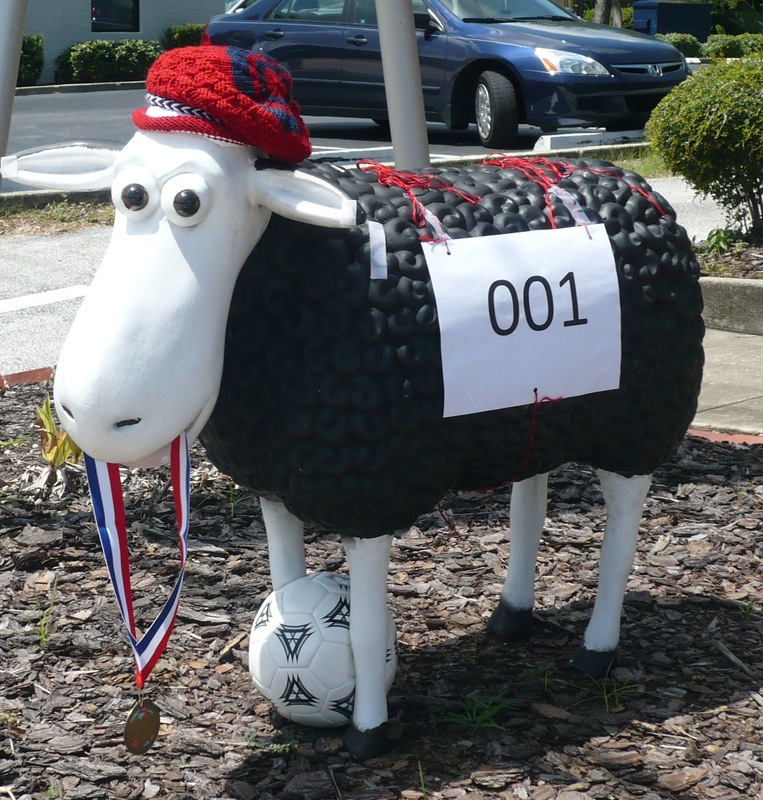 One of the cool places that I organize is The Black Sheep Needlepoint Shop located at 1322 North Mills Avenue, just south of Virginia on the right side; you’ll know you’ve arrived when you see the big yellow sign and Woolamena the black sheep (usually dressed for a particular holiday or illustrious event) holding court outside. Anne Jones, the owner, is very much all about teaching these needlework skills to interested parties, and there are many who come to The Black Sheep Shop for lessons and classes. Beyond that, she and the staff are always looking to go “beyond the pattern” when it comes to exploring new avenues of the needle arts. Below you’ll find a brochure describing an intriguing and fascinating a fiber arts show which will be exhibited in the Cornell Fine Arts Museum at Rollins College. Look at the photo of Lisa Kellner’s installation– doesn’t it make you want to run your hands through it? That’s what excellent needle arts teachers and retailers succeed in doing: they get people to create beautiful things while indulging the senses of touch and sight. I love my days at the shop. I’m surrounded by color and texture and it all conspires to inspire the artist in me. Take some time to visit the Cornell and indulge yourself. 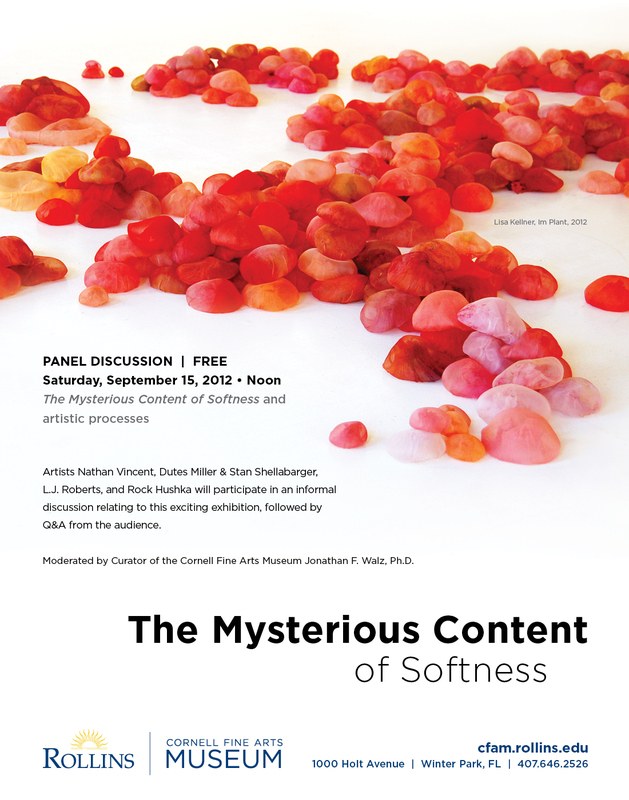 Make you you get to this Saturday’s FREE panel discussion: The Mysterious Content of Softness and artistic processes.